Spiritual journey of India explores the opulent Mogul history, Rajput heritage and Spiritual trail that combines, historical Delhi, diamond encrusted Taj Mahal, Golden Temple of Amritsar, the holiest city of Sikhism and top it off with Dhramsala, the spiritual seat of Dalai Lama. Welcome aboard your flight to Delhi, enjoy onboard hospitality, indulge yourself with delicious Indian and Continental cuisine. Welcome, your India vacation begins. Meet our representative fora traditional welcome& transfer to Hotel Parklands. Morning half day city tour of old Delhi Visiting Jama Masjid, Red Fort and Chandni chowk. Afternoon half day tour of New Delhi Visiting Qutab Minar, Rashtrapati Bhawan, India Gate, Parliament Street. Evening free for shopping. 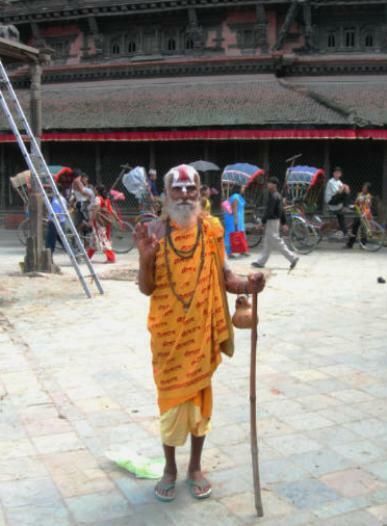 Today we fly to Varanasi, the most sacred Hindu city in India. You'll visit the ancient site of Sarnath, where Lord Buddha revealed his enlightenment to Nirvana. Hotel Hindustan. Our day begins with a boat ride on the Holly Ganges River, whose holy waters draw thousands of pilgrims. This remarkable tour shows the cleansing baths and burning cremation Ghats of Hindu Funeral Rituals. Afternoon fly to Agra, home of jewel encrusted Taj Mahal. Airport transfer to Hotel Gateway/Howard Plaza. After breakfast begin your day by visiting Taj Mahal, the mausoleum built by a sorrowing Shah Jehan in memory of his young wife, Mumtaz Mahal and Agra Fort, where he spent final days of his life, looking at the Taj Mahal from a special window overlooking the Taj. This afternoon visit marble handicraft workers creating the jewel inlaid furniture and decorative articles in the same traditional ways passed down generation to generation. Evening at leisure. After breakfast, drive to Delhi for evening train to Amritsar. Stay at the Hotel Ritz. After breakfast half day sightseeing of Amritsar. Visit Golden Temple, The entrance to the Golden Temple complex is through an ornate archway with intricate inlay work. The main north entrance is under a Victorian clock tower. The architecture of the golden temple is a blend of the Hindu and Muslim styles. The Golden Dome (said to be glided with 100 Kilo Grams(200 Lbs.) of pure gold is supposed to represent an inverted lotus flower, pointing back to earth to symbolize the Sikh´s concern with the problems of this world. Jillian Wala Bagh This place is noted for its most notorious massacre under British rule. It is 400 meters north of the Golden Temple. General Dyer personally led the troops to the sight and ordered his men to open fire without any warning. Today this ground has been changed to a park and it has a pleasant garden. There is a narrow path between the houses which leads to the lawn of the park. At the entrance there is a memorial plaque which recounts the history. There is a well on the north side in which many people who tried to escape from the bullets were drowned, and remnants of walls have been preserved to show the bullet holes. At the east end of the garden there is a large memorial built in memory of those who died here. 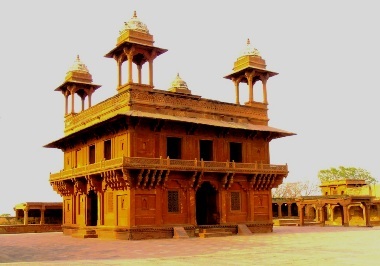 Durgiana Temple, situated outside the Lohgarh Gate it is built after the design of the Golden Temple and attracts sages and scholars in Hindu scriptures from all over India. This afternoon will attend change of the guard at the Indo-Pakistan Border, which is show of pageantry and pomp on both sides of the fence and attracts thousands to witness this unique event. .
After breakfast, drive to Amritsar and fly to Delhi or Train to Delhi. Late this evening airport transfer for homeward bound flight. Day 12 DELHI/USA: Early morning flight bound for New York.